Lab suppliers interested in marketing life science solutions and increasing lab sales leads at Texas life science marketing events may want to take a closer look at the latest NIH and NSF funding statistics for the University of Texas, Austin. 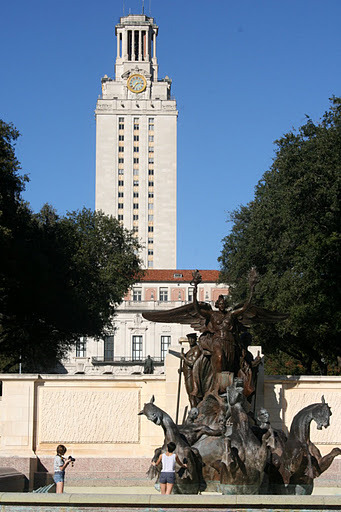 In 2012, the NIH gave the University of Texas, Austin $57 million in research funding. The money was divided among a number of life science departments. For the convenience of our readers, we have assembled a list of the best-funded life science departments at the University of Texas, Austin, organized by department name, number of awards received and total NIH funding. For a full list of departments receiving NIH funding, please visit the NIH website. In addition to receiving NIH research funding, the University of Texas, Austin also received $91.5 million from the NSF. Of that funding, $8.6 million went to life science programs alone. We have compiled another list for our readers of the top five NSF-funded life science projects at the University of Texas, Austin organized by funding department, project name and total funding awarded to each project. For a full list of life science projects receiving funding, please visit the NSF website. If you are a lab supplier marketing life science solutions and interested in increasing lab sales leads at Texas life science marketing events, Biotechnology Calendar, Inc. invites you to attend our annual Houston BioResearch Product Faire™ Event. Last year’s Houston BioResearch Product Faire™ Event attracted 426 people, of which 124 were purchasing agents, professors and post docs, and 66 were lab managers. The visitors came from 54 different research buildings and 71 departments across campus. Biotechnology Calendar, Inc. is a full-service science research marketing and events-planning company that organizes life science marketing events at top research universities across the country. For more information on our Houston BioResearch Product Faire™ Event, or to learn more about University of Texas, Austin funding statistics, click on the button below. If you are interested in marketing your life science solutions and increasing lab sales leads at life science marketing events closer to home, we encourage you to look into our 2013 calendar of events.